From personal experience, the market remains buoyant. We're entering the fray one again with expectant eyes set on several purchases to buoy our own portfolio. Some will be rental investments, others flips. The latter is a particular field of expertise, our training ground, in fact, long before moved into TV. When still based in the UK, we flipped countless homes, and it would be this property ladder that lead to The Million Pound Property Experiment, a TV format which saw us flipping our way from an inauspicious hundred thousand pound starter house to a London des res which sold for 1.25 million pounds. The figures, now, sound less exciting (based in Toronto, as we are, where even a tiny home can skin you a million bucks) but a decade and a half ago the word 'million' still had colossal resonance. If yours is dated, make sure it's at least clean and dated. 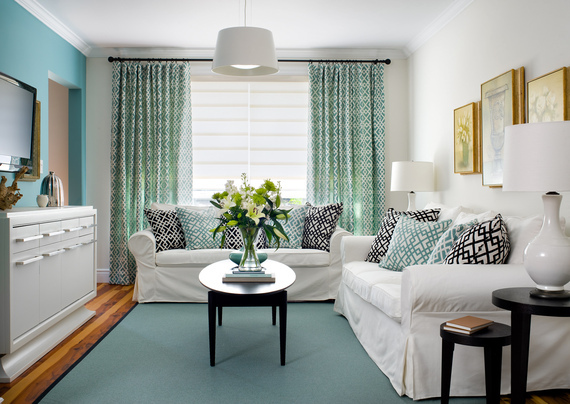 Buyers make decisions about the rest of your home based on what they see here, so reach for that cloth and go wild. Deep clean your fridge and freezer and don't forget the oven -- folk will have a peek inside: it's human nature. Get rid of soiled carpets. Kitchen Berbers (along with bathroom carpets, Satan's own floor covering) are harbingers of grease and bodily ooze and should be banished. Roll out the lino' or polish floorboards for a buyer-friendly look. Update cabinets -- try a foam roller and satinwood paint. 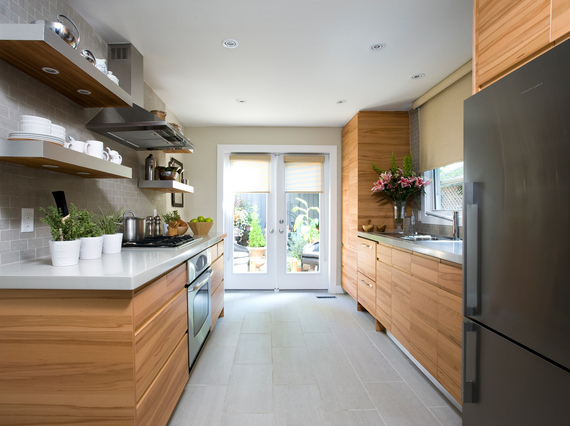 But be realistic -- if your kitchen is so bad buyers will probably rip it out when they move in, revert to our previous tip and simply clean to create a better impression. If planning new appliances for your next house, buy them ahead of time and 'dress' into your current kitchen -- their sparkle will help appeal, though make it clear they're not included in the deal. If yours is in poor condition, you may well be battled down in price. Just like kitchens, these rooms are sold 'fully furnished', so lather up to load up on extra dollars. Keep personal items like hemorrhoid treatments and athletes foot powders behind closed doors. 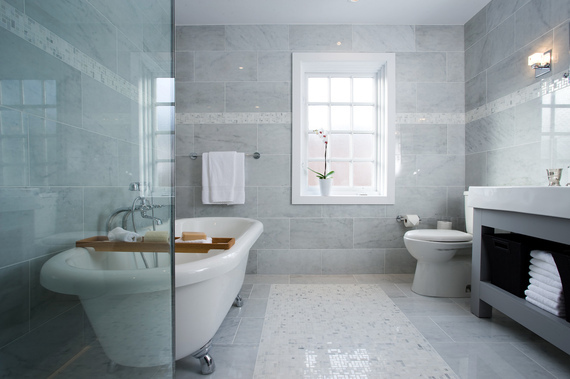 Would you buy into a bathroom that smacked of piles and toe rot? Co ordinate -- towels and shower curtains can be tailored to match floor rugs, while jars of bath oil and soaps will set a fresher tone. Viewings should never take place with washing draped over your radiators. Knickers and bras will distract buyers, who'll spend more time looking at your smalls than eyeing up your home's potential. Surprising as it may seem, buyers are often more inclined to look at your furniture than the room within which it sits. Consequently, an old-fashioned sofa will make your space feel similarly dated. Maybe now's a good time to consider an Ikea run? And besides, new selections (just like kitchen appliances) can be taken to your next home. Imagine your buyer as a one-night stand, lured back to the boudoir for some hot action. Will worn, grubby sheets elicit a romantic feel? Please! When selling, everything should seduce, so bag new linens to brush up on seduction techniques. Is yours a natural dumping ground for newspapers, boxes and bicycles? Remove! Do we really have to explain you only get one chance to make a first impression? With the addition of a chair -- space permitting -- and a floor lamp, your hall will look like valuable living space rather than just a corridor to other rooms. If you've space for a console, get cracking. Flanked with lamps, and dressed with an attractive mirror, your entranceway will come to life as light bounces around. Even a simple floating shelf from Ikea, adorned with interesting accessories, may be enough to provide lift. We prefer doors to open against walls so they don't restrict sightlines upon entering. As such, wielding your screwdriver and changing the location of hinges will make square footage appear larger. Every little bit helps, right? Successful storage is like a balancing act; too much and there'll be no room to live, too little and you'll breed clutter issues. We advise weeding out closets and dispensing with boxes and bags that scar the scene. Curb appeal is crucial. When conducting a survey for The Home Show, one of our British TV series, a whopping 22 per cent of 200 buyers said they'd drive by without stopping if the exterior of the prospect house looked neglected. Don't clutter the landscape; too many pergolas, gnomes and fountains may transform your sad lawn into Disneyland ... but the practice may render it niche market. Keep bins out of sight, mow grass, tend flowerbeds and keep windows, gates and doors clean and freshly painted. Finally, if you're doing your own showings, brush your hair. While filming the aforementioned Home Show and dealing with a property our realtor suggested was 'stubborn,' we soon realized the problem wasn't the house, rather its owner. Beset with, ahem, hygiene issues, and looking for all the world like one of The Beverly Hillbillies, our chap made interested parties wince as he answered the door.